Thomas Peters, master of rhetoric in his own mind, beseeches “Ask Them, Do Catholic Lives Matter?” I don't know who “them” is but I am familiar with Mr. Peters. 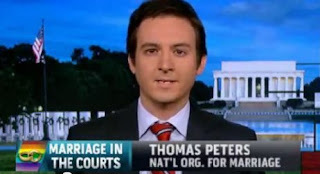 Before he dived from a perch too high into water too shallow, Peters was Director of Communications for National Organization for Marriage. He was a rude little demagogue who would simply hang up the telephone on any reporter who dared to ask a tough question. In Peters' mind he was ordained by God to prevent gays from marrying. When pew-sitting Catholics in San Fransisco , who have had their shepherd, their church and their reputations slimed for months by professional hired goons like Sam Singer, came together to host a picnic – a picnic! – for their bishop, the local intelligentsia sneered that they should “back off” and “give it a rest”. That “professional hired goon,” Sam Singer — a public relations consultant, is the object of Peters' scorn because he dares to work for a group of devout Catholics who are unsettled by the tactics of SF Archbishop Salvatore Cordileone. Those folks have the audacity to disagree with Peters, a fundamentalist Catholic, on the direction of the Church and its schools. I'll remind Peters that Archbishop Cordileone issued new morality clauses banning teachers in the diocese's schools from public displays of support for homosexuality and other (ambiguous) “sinful acts.” Furthermore, Cordileone disingenuously described the teachers as “ministers” in order to circumvent any possible actions for wrongful termination. Presumably their professional, Frank Schubert, who claims that gay people pose a threat to children, is not a “hired goon.” I would disagree. What is “illegitimate” is not the professed views of conservative Catholics but the specious arguments that people like Peters make. The “local intelligentsia” that Mr. Peters cites is C.W. Nevius who is usually a sports reporter for the San Francisco Chronicle. Unfortunately the teaser of the piece (all that is available to non-subscribers) that Mr. Peters refers to does not provide context. Untrue. Christians are perfectly welcome at GoFundMe. The company prohibits campaigns defending discriminatory acts as well as campaigns defending violations of the law. Untrue. Their concern was limited to the “loyalty oath.” This is San Francisco after all and, without a doubt, there are gay teachers and gay administrators in the system who are doing a fine job. 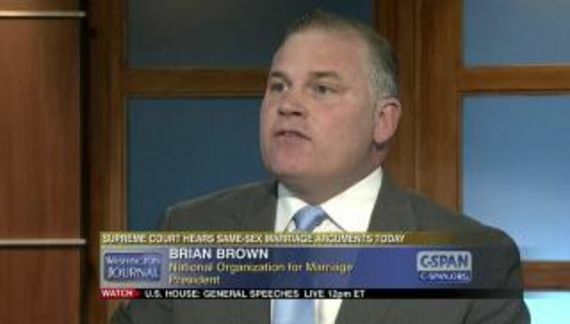 Straight employees, no matter how devout, are likely to have gay friends. These school employees should not be subject to the whims of a prelate having nothing to do with their job performance. They weren't hired as clergy. Self-serving rubbish. You would think that society is asking Mr. Peters to conform to a set of beliefs. Nobody is denying Mr. Peters the right to believe as he chooses and to “live in accordance with [those] beliefs.” There is a certain irony to the fact that this unseen and amorphous hand of perpetual doom resides exclusively in Mr. Peters' head. Were he introspective it might reveal something to him.